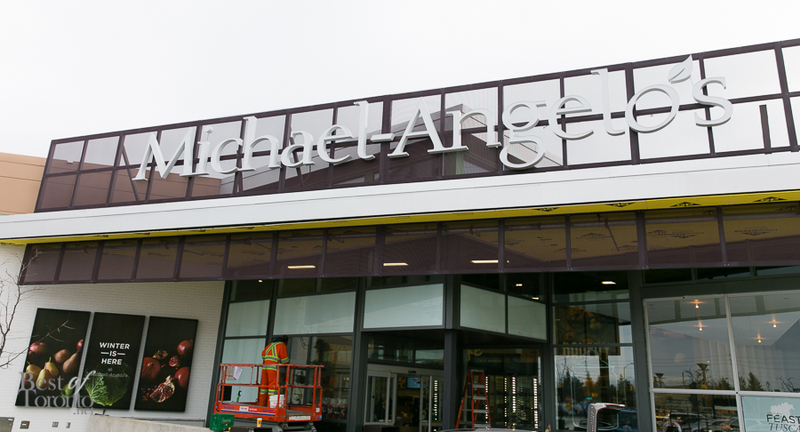 For a refreshed grocery shopping experience, Michael-Angelo’s in Markham is having their grand re-opening this weekend. With a lineup of customers outside waiting for the doors to open, I was there to check out the festivities on Friday, December 19th. Located on Woodbine near Highway 7, next to L.A. Fitness, Michael-Angelo’s creates an intimate, upscale shopping experience with the motto of “sharing our love for food“. 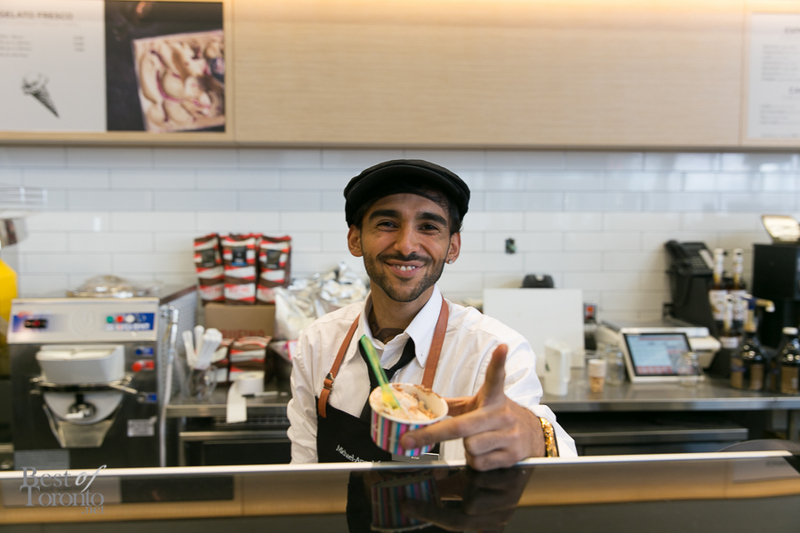 The most impressive section is the coffee and expanded dessert section serving delicious gelato made in-house. They also serve fresh coffee, espresso, and cappucino. I tried the Rocher gelato and it tasted like a creamy, dreamy Ferrero Rocher chocolate. And I couldn’t resist ordering a bunch of these desserts to go. 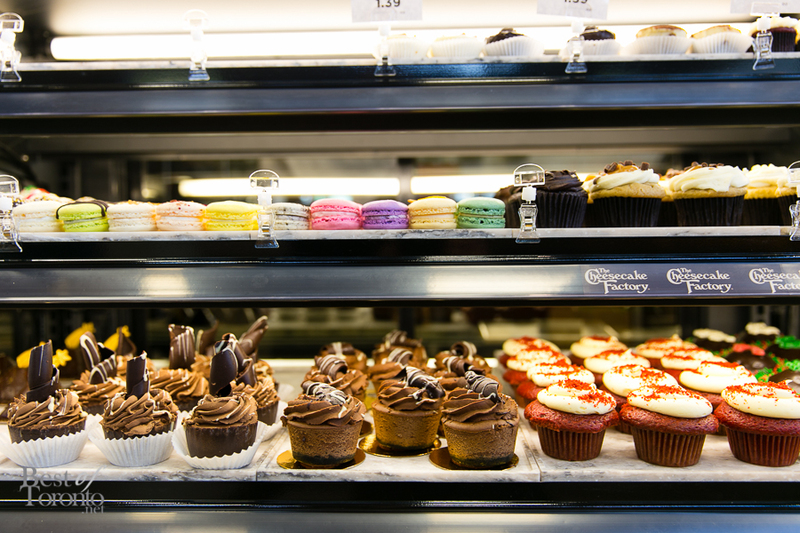 Red velvet cupcakes, tiramisu and macarons! While it wasn’t ready on opening day, they can make fresh mozzarella in-house right in front of your eyes at the cheese section. 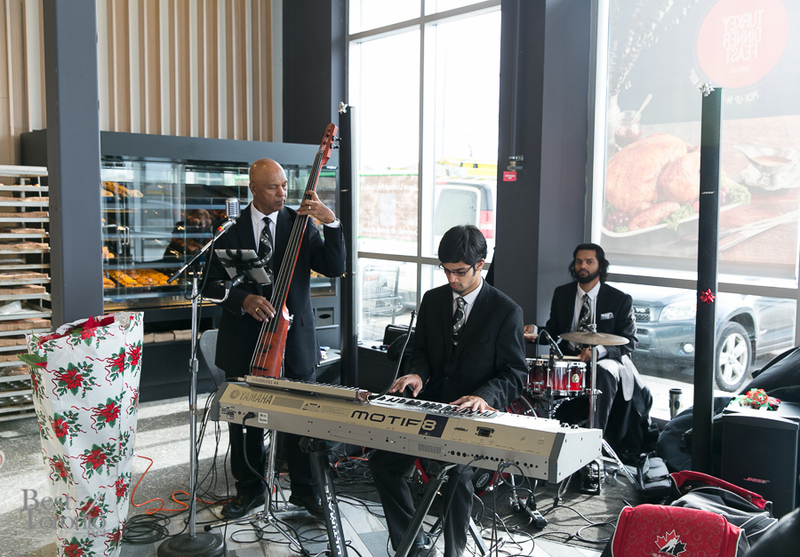 Other sections include a pizza section with a wood-fired oven, a fresh hot food section, and a sushi section. Don’t want to wait until you get home to eat all your delicious finds? There’s a seating area including a wall that will roll up for that outdoor Italian “al fresco” dining experience in warm weather. I heard they may be licensed to offer wine and beer, too. I also heard they will have a tweet wall with a screen showing the latest tweets so you can get social with Michael-Angelo’s. And lastly, check out this deal that my blogger friend Sonya Davidson pointed out to me. Your family dinner plans for Christmas Day or New Years Day are solved with a turkey feast to go including a 5kg turkey, sides and dessert. For more info click here. The Markham location for Michael-Angelo’s is at 8555 Woodbine Ave next to L.A. Fitness. 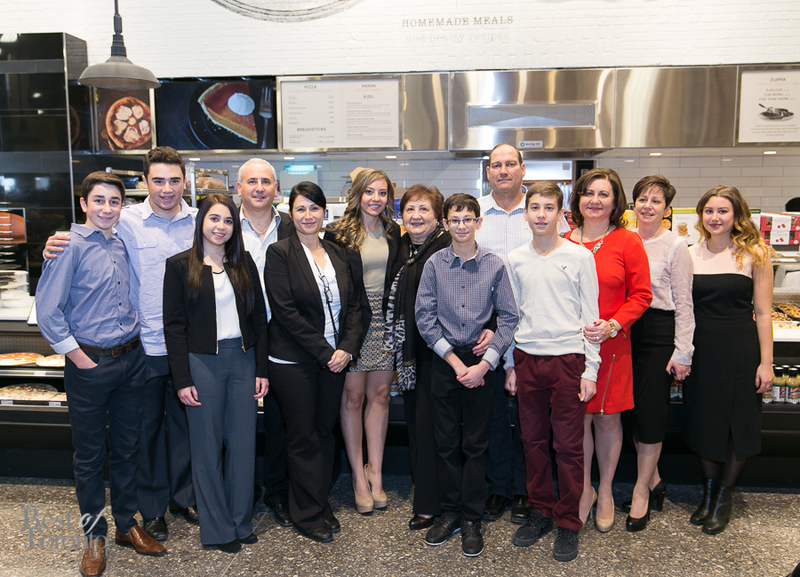 Michael-Angelo’s also has a location in Mississauga at 4099 Erin Mills Parkway. For more info about Michael-Angelo’s visit www.michaelangelos.ca. They also share some great recipes and tips on the website that are sure to inspire like holiday Panettone. Michael-Angelo’s also has a contest to win a trip to Tuscany as well as many other prizes. Details here.